It seems inevitable that at some point pastors will be confronted with someone coming out of, or being pulled into, a cult. There are more and more new religions, New Age sects, etc. popping up every day. 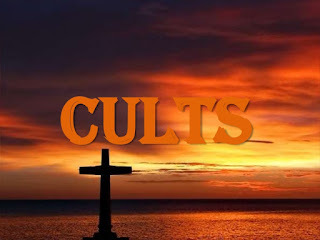 These cults compete with the church for the souls of spiritual seekers and are successful most often because they offer answers to questions many Christians are ill equipped to answer. Still others are attracted to cults because of the alternative community they offer, as opposed to the church, which is viewed as too traditional or stuffy- lacking in authenticity. New self-proclaimed prophets offering new revelations and new holy writings excite and entice the seeker. Such groups abuse the anxieties of people who recognize the difficult times we live in, presenting to them an ideal community of peace and love. The vulnerable and the theologically uneducated find themselves the perfect target, and thus willingly give up their previous life in a retreat from the harshness of reality. These cults deceive the seeker, violating their basic human rights for the benefit of the cult itself. Manipulative techniques of persuasion and control designed to advance the goals of the group's leader, to the actual or possible detriment of members, their families, or the community. Promotion of total dependency on the group and fear of leaving it. A change in vocabulary or meaning of common terms to appear to say one thing to the non-cult member, but meaning an entirely different thing to cultists. Subsequently, family relationships are destroyed or severely hindered, mental clarity and focus fades dramatically, there is a marked loss of individuality and personality, and they may find themselves involved in or hiding abuse, criminal activity, or worse. The question pastoral counselors have to address is, how do I help this person? It is first and foremost important that we listen to the relatives of the person trapped in a cult. They will be fearful for their loved one, desperate to see them back to normal, and almost hysterical in some cases. They will have noted the loved one's gradual alienation from close friends, family, the loved one's own children or spouse, and have attempted to intervene as long held morals and values suddenly vanish. The pastoral counselor should listen closely, take notes, and sincerely seek to understand the scope of the situation, while providing comfort and offering a Biblical and rational perspective on the situation. It is important that they know their concern is justified, and not simply a case of "nosiness". It is also important that the family understands the situation is not hopeless. Prayer is our most important weapon in spiritual warfare, and God is listening. Help, both spiritual and temporal, are available and that together you can develop a plan to reestablish the broken relationship with their family member, which usually results in pulling people out of such cults. It is also important that a pastoral counselor have access to and know of sources of information, local organizations and ministries, etc. that are most likely to help facilitate the plan. This doesn't mean the pastoral counselor passes the buck. It simply means he works in tandem with others to get the job done. Local universities may have tools or resources to share in their psychology departments, or may point you to agencies or individuals who specialize in cult involvement. These resources are invaluable, especially should the family have to enter into a court battle with the cult. It is also important that the pastoral counselor be prepared to work with the family member who is coming out of the cult, since they will be dealing with a host of issues, including spiritual and theological problems. Often this means assisting the former cult member in clarifying healthy faith and spiritual practices. It would be helpful to educate a team of senior congregants of both genders to understand the dynamics particular to this sensitive area of ministry, to assist the former cult member in re-entering the church and normal day to day life, should the former cult member request such help. Be creative, be sensitive, be compassionate, and be discreet.